Both companies are divisions of Sting-Ray Enterprise Ltd. Owner-operated businesses with strong moral values. It is our goal to give you the ultimate service possible! Based on strong commitment to our principles, we offer a professional, honest and reliable service. 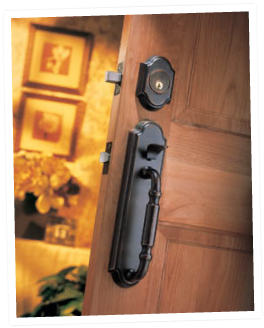 With numerous years of experience under our belt and thousands of satisfied customers, we know that each locksmith job is unique and we treat it with utmost care and respect. We recognize the importance and concerns of families that are in dire need of security or emergency assistance and we will do our very best to be at your location promptly. Our dedication to detail and quality craftsmanship has earned our company an A+ rating with the Better Business Bureau. GLOUCESTER LOCKSMITH was originally registered when our town was named the city of ‘Gloucester’. Since the amalgamation with the City of Ottawa, the name ‘Gloucester’ has faded out and people in our community have become more familiar with the name ‘ORLEANS’. Therefore, we have decided to register the business name ‘ORLEANS LOCKSMITH’ and we continue to operate both companies under the same ownership. It is definitely not our intention to confuse the consumer! We provide our services in both English and French.